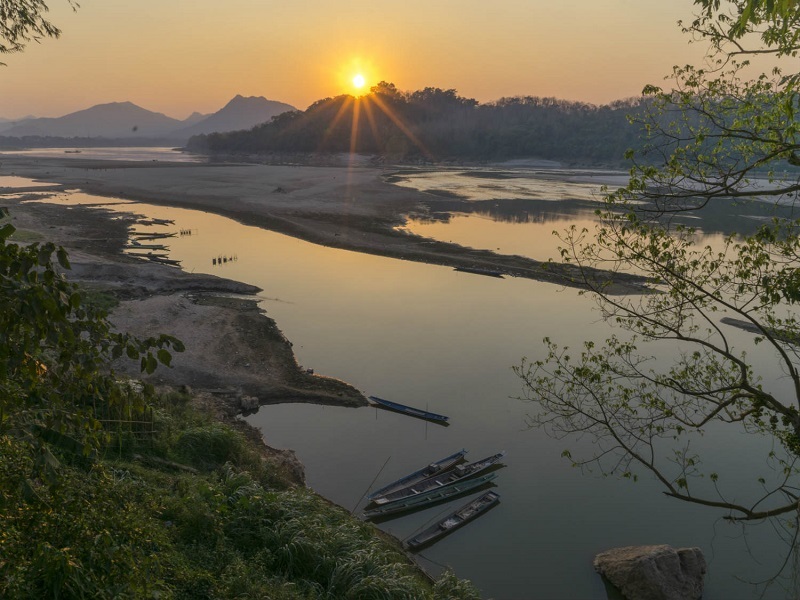 Located in the intersection of three beautiful countries in Southeast Asia: Burma, Laos and Thailand, the notorious golden triangle used to be widely known as the busiest drug-trafficking spot in the region. Little did people notice that this place of fear is also blessed with stunning natural beauty and rich cultural heritage. Let us guide you in a quest to fully explore its wonders and change the perceptions you might have about the Golden Triangle forever! For as long as history remembers, the region has witnessed the blood-soaked clash of armies from concurrent powerful empires of Laos, Siam, and Burma over the fertile soil. In the 20th century, having met the requirements for large poppies cultivation: high altitude, perfect temperature, remote from security forces, this area has been among the biggest hubs for drug production in the world. Only three decades ago, 70% of opium worldwide came from the Golden triangle, adding another chapter to its turbulent past. 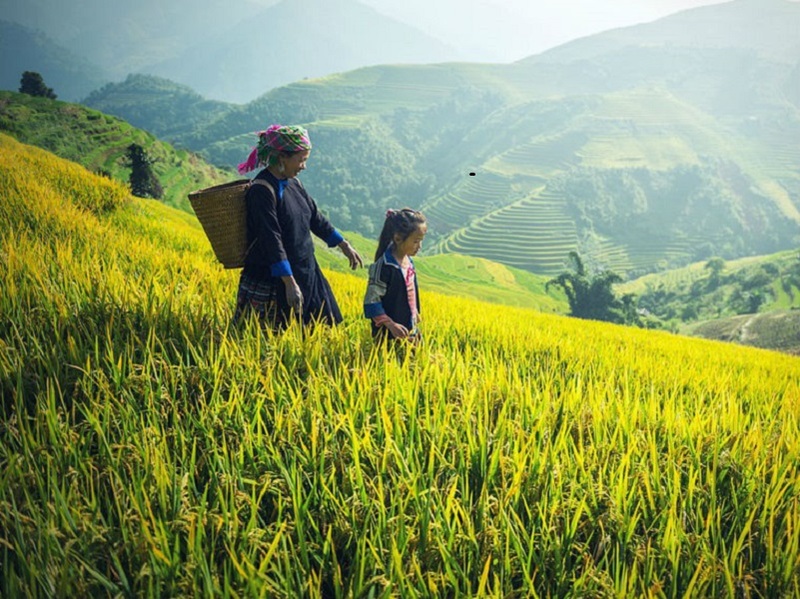 In the 1970s, King Rama IV of Thailand introduced initiatives with an aim to encourage farmers to shift from cultivating poppies to crops such as tea and coffee plantations. The fight against drugs went on with the joined efforts of Laos and Burma, two other countries bordering the triangle, and the support from international organizations such as the United Nations. The eradication has been successful, leaving its share in the worldwide drug production today only 5 %. 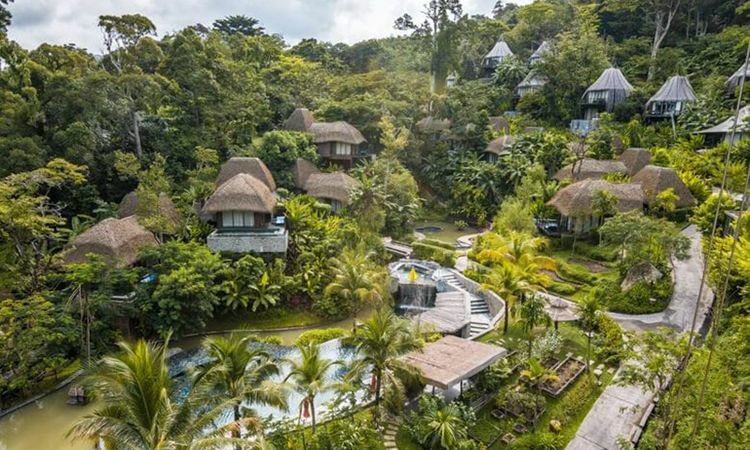 Nowadays, it has become a haven of tranquil natural landscapes and peaceful vast areas of unique architectures where you could enjoy various once-in-a-lifetime experiences. Considered the national symbol and spirit animal of Thailand, elephants are well respected and housed in sanctuaries or natural preservations to protect them from being poached and abused. 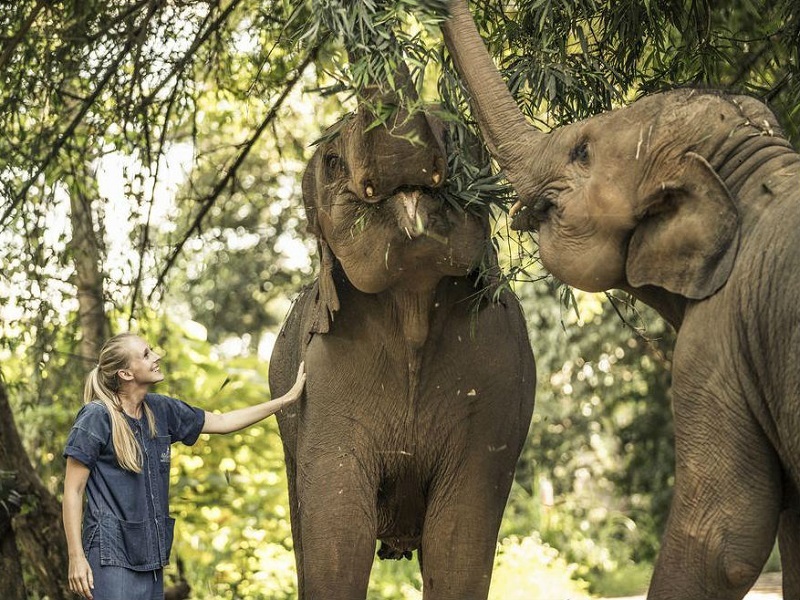 As host of the extension of the Thai Elephant Conservation Center, The Elephant Camp in Anantara Golden Triangle Resorts and Spa provides veterinarians that take good care of the retired or rescued elephants. 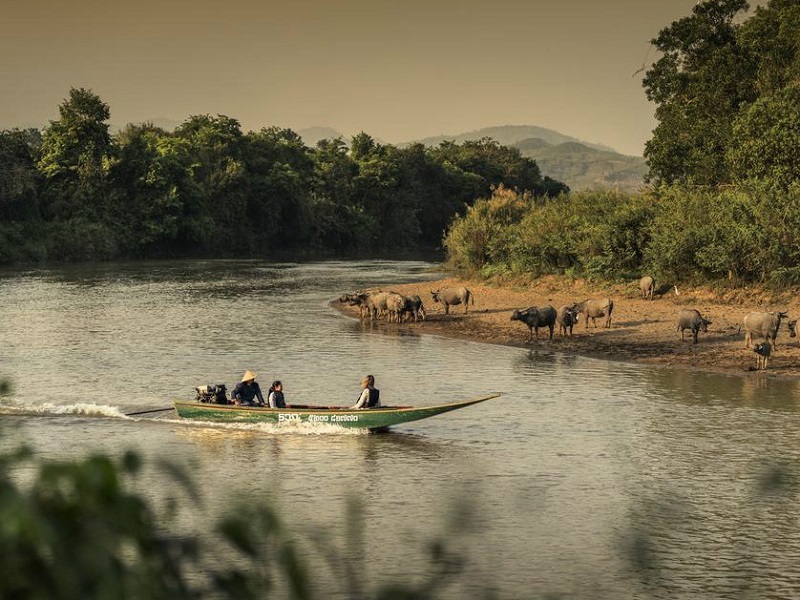 Hidden within the bamboo jungles, Four Seasons Golden Triangle also has its own rehabilitation camp for elephants and tented camps for adventure-seeking visitors. 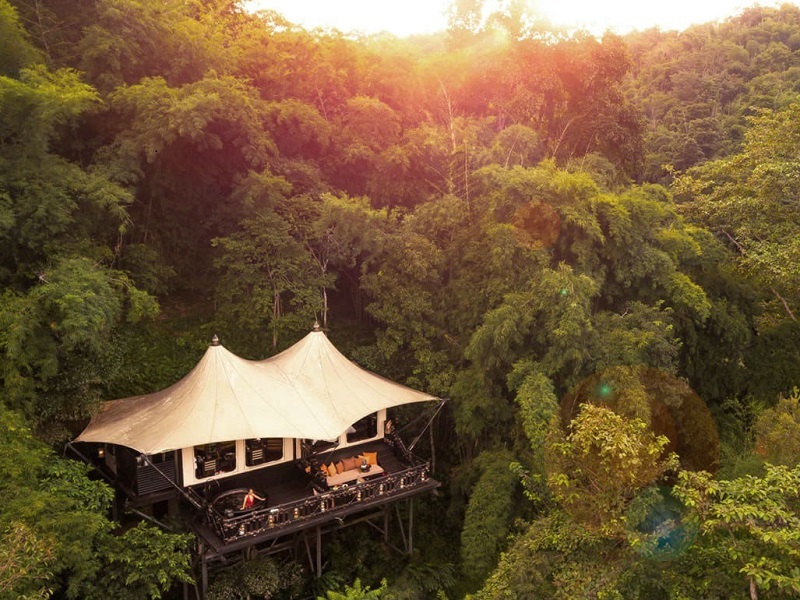 With its rustic wooden furniture and luxurious amenities in secluded location among the woods, each tented camp is truly a magical escape from the hustle bustle of daily life. The highlights of both camps are inspirational interactions with fun-loving elephants. 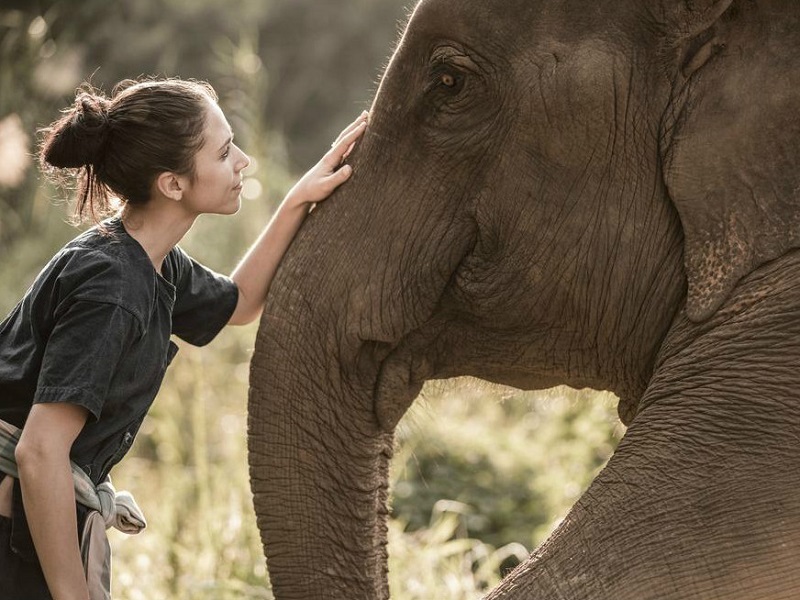 Visitors love following the elephants’ free-roaming into the forest, walking around the peaceful scenic property and observe the mahouts as they care for the elephants. Enjoy taking photos of these curious, a bit mischievous, but full of personality creatures, and feeding them before joining their joyous shower time! Exotic Voyages provides various tours that include a visit to elephants camp and explorations in Northern Thailand. 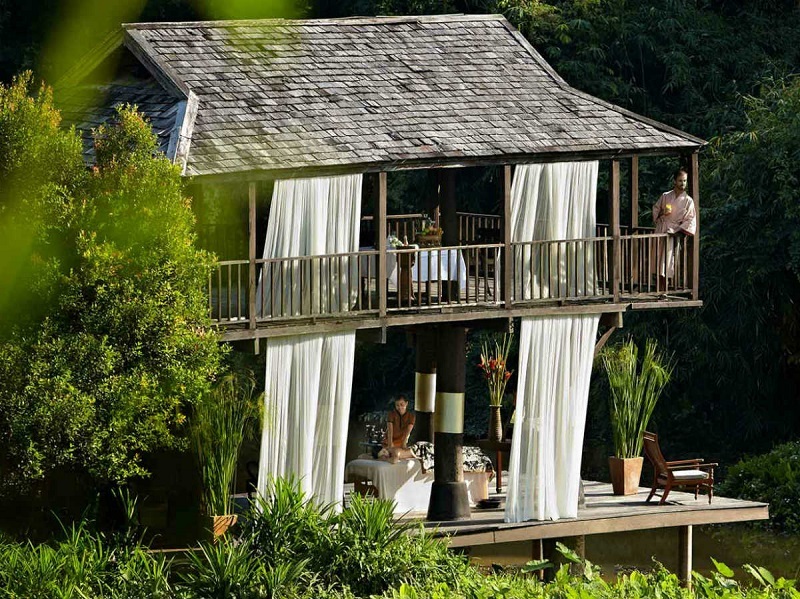 Check out: The Perfect Match: Thailand and Anantara! We are offering a 35% discount for this tour, as long as you book 90 days before departure, and the departure date is no later than October 31st, 2019! 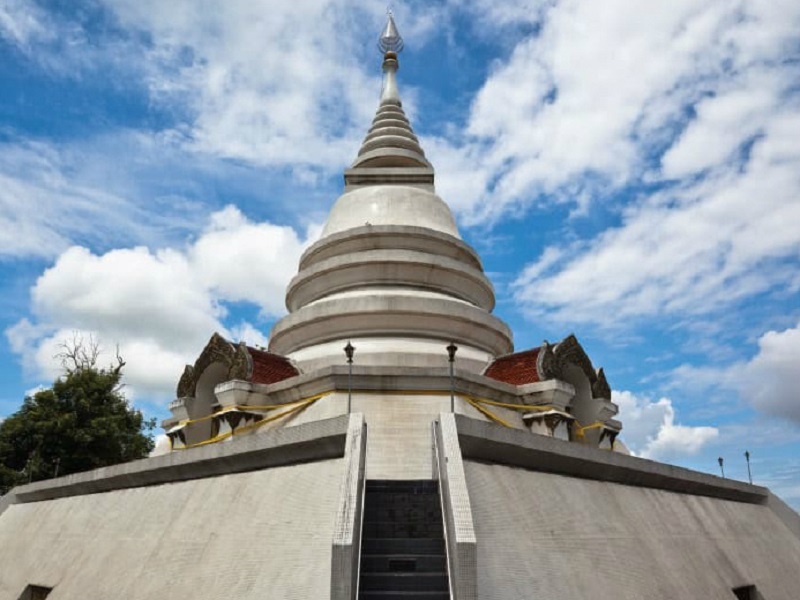 The Golden Triangle area now takes pride as home to the contemplation of elaborately designed temples in unique styles that you could not find anywhere else. The essential stop you have to make is Wat Rong Khun- the White Temple in Chiangrai, only a short ride from the center of the Golden Triangle. The temple boasts itself as a majestic unfinished artwork widely known for its iconic dragon scaling and stark white ivory- like color. 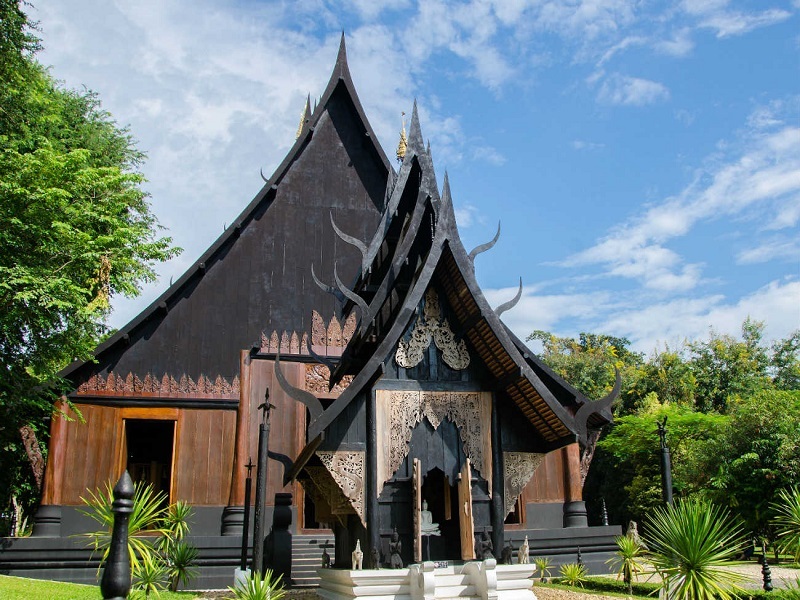 Contrasting to Wat Rong Khun is Baan Dam museum, casually known as the Black Temple. Traditional and elegant on the outside with honey-like timber and distinct black tiered roofs, it is what’s inside the museum that will woo its visitors. Baan Dam houses an interesting collection of animal remains from all over the world. The items are aesthetically arranged, giving off a spiritual and mysterious tribal vibe. 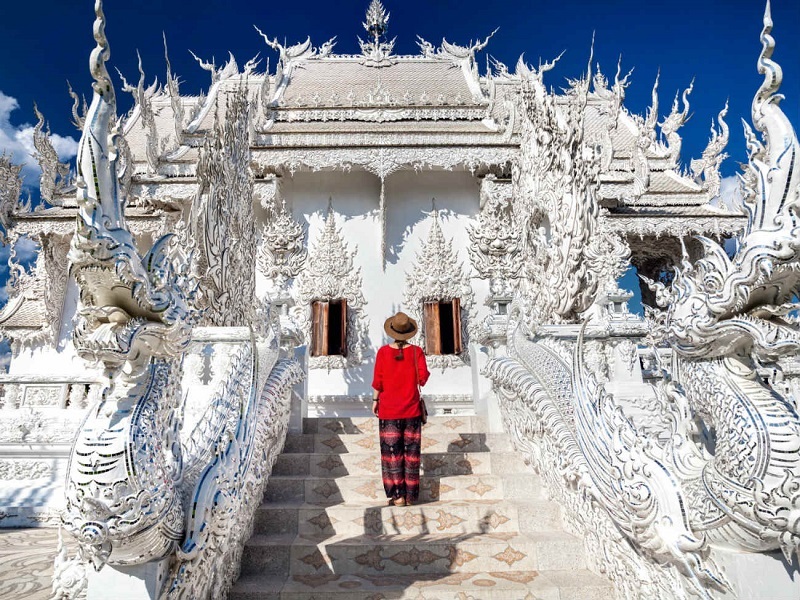 The final stop on our recommended list is the Blue Temple- Wat Rong Seur Ten. 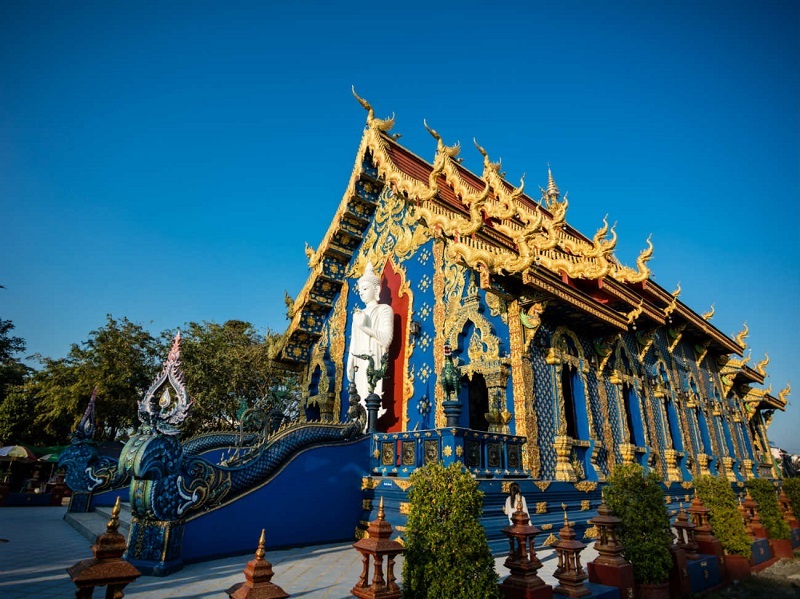 Unlike the other two buildings, this temple stands out for its vivid indigo hue with intricate metallic golden carvings. From the moment you walk in, be prepared to be amazed by two fierce and colorful naga (dragons) guarding the entrance, then numerous magnificent Buddha statues inside until exiting through a giant demon mouth! 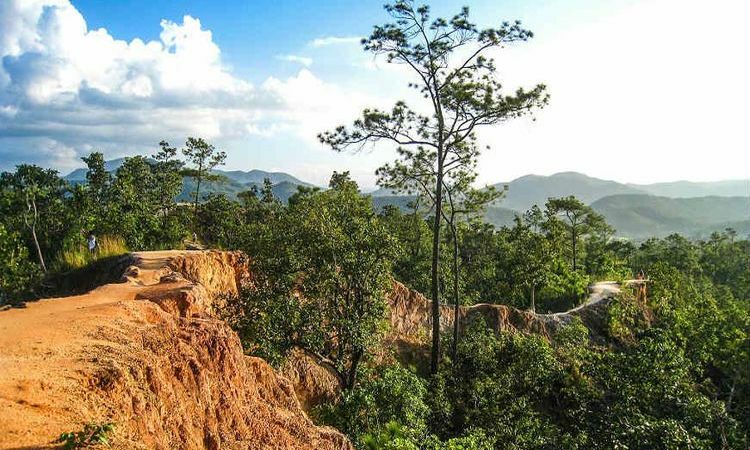 Once the capital of the long-gone glorious Lanna kingdom, Chieng Saen is now a sleepy quiet riverside town lying close to the northern border of the Golden Triangle. Stroll along the shaded old city walls to find the remnants of the past, including earthen battlements, Wat Pa Sak, Wat Phra That Chedi Luang, and other sanctuaries. You should not miss Wat Phrathat Pha Ngao, a large prayer hall glamorously built in Lanna style. From this well-preserved and peaceful temple, visitors enjoy the panoramic view of the Mekong river. 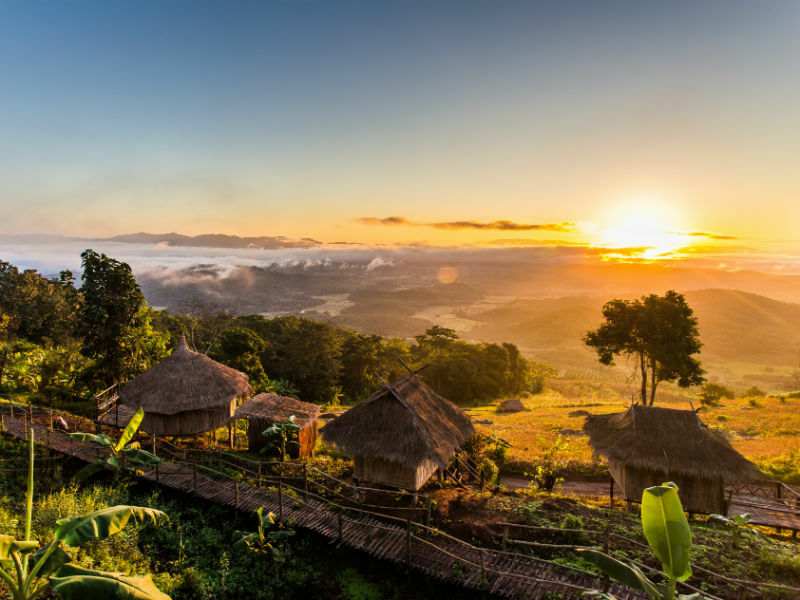 Nestled on the mountains of Golden triangle are the colorful houses of various Northern Thai ethnic minorities, from Hmong, Lahu, Yao, Akha, Karen, Wa, Lisu to the long neck women Padaung. Here, you can interact with indigenous people and witness their daily activities. In the town of Santikhini, for example, people still speak Mandarin as their first language and Chinese customs such as tea plantation are still practiced. 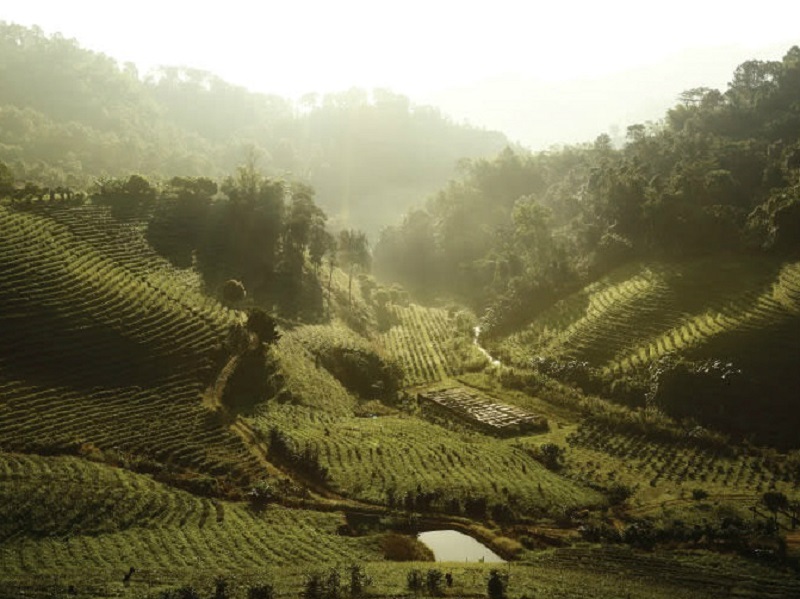 Don’t miss the opportunity to enjoy the scenic mountainous village of Doi Mae Salong and sample its special-tea: High Oolong. 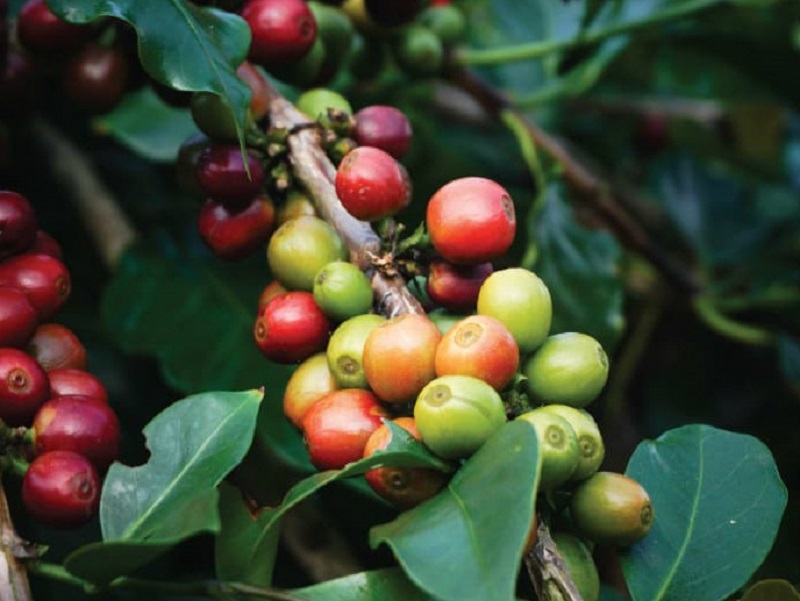 In the efforts of wiping drug production, poppies hills have been transformed into rice, tea and coffee plantations. 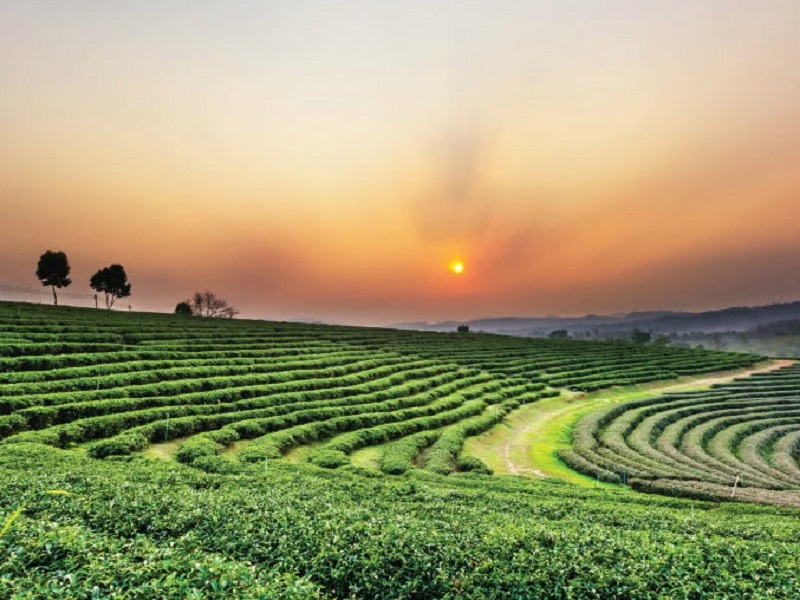 On visits to popular Choui Fong Tea and Doi Chang coffee planting sites, sample different tea varieties, enjoy lunch at a local restaurant, try tea-infused dishes and taste one of the finest coffee brews in the world! 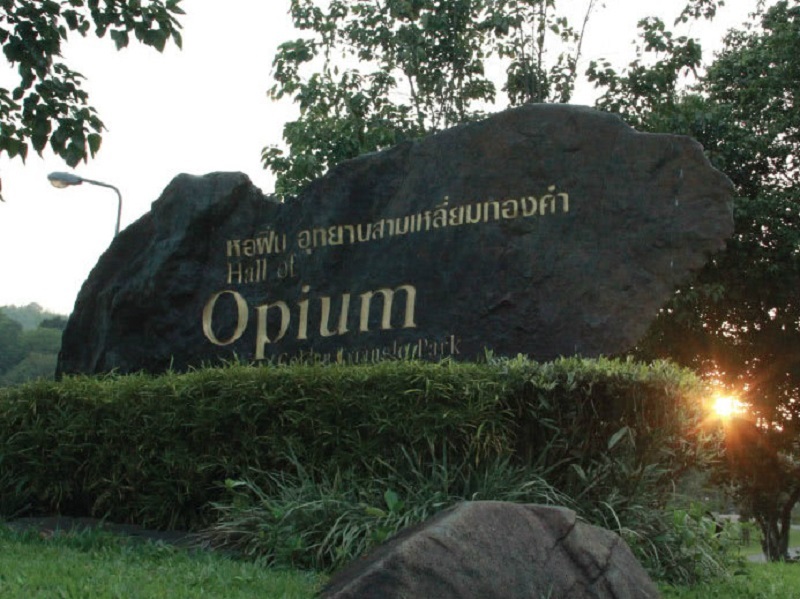 If you are curious about the history of this dynamic region, the Opium Museum is perfect for you! After entering it through a tunnel of sculptures depicting victims of opium, you will have chances to learn about the history of opium growing and trade in the world and this specific region. As the emphasis is on the present, the museum also tells stories of relentless efforts to eradicate the drug production whilst keeping the hill tribes’ culture intact. 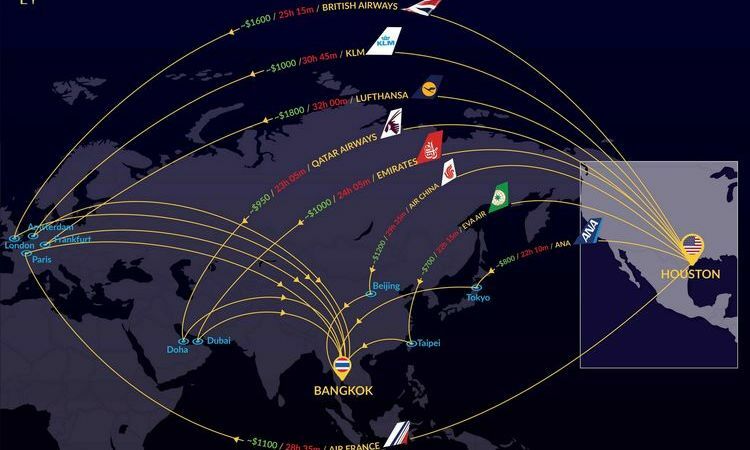 It’s not like you can always visit 3 countries in a go, so jump at this chance to steal a glance at Burma! After crossing the Thai border via walking bridge to this busy trade town of Tachileik, take a tuk-tuk to a food market to taste fresh and local products! Only a short walk from there is Dhamnayon Township where you could learn about Buddhism, the country’s most prominent religion. 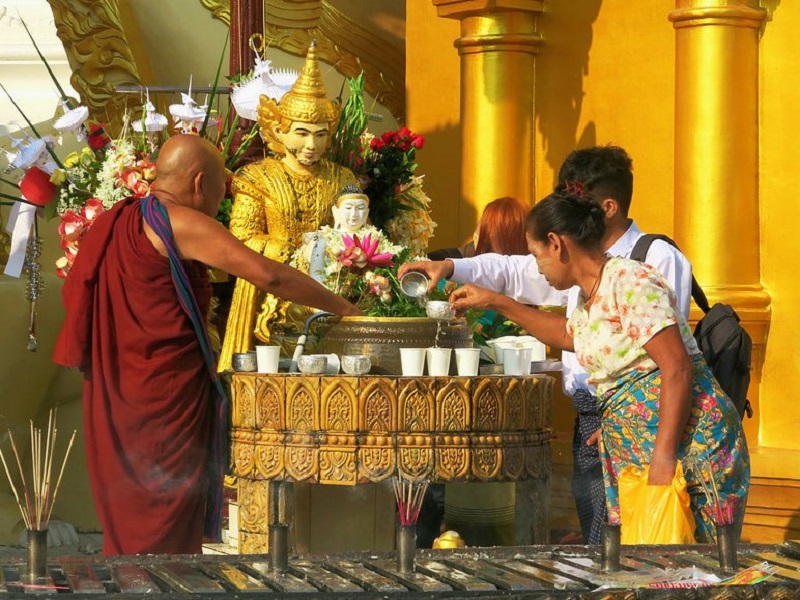 Since you are already there, check out Tachileik Shwedagon Temple, a replica of the famous Golden temple in Yangon where you could pray and enjoy magnificent mountain views around. 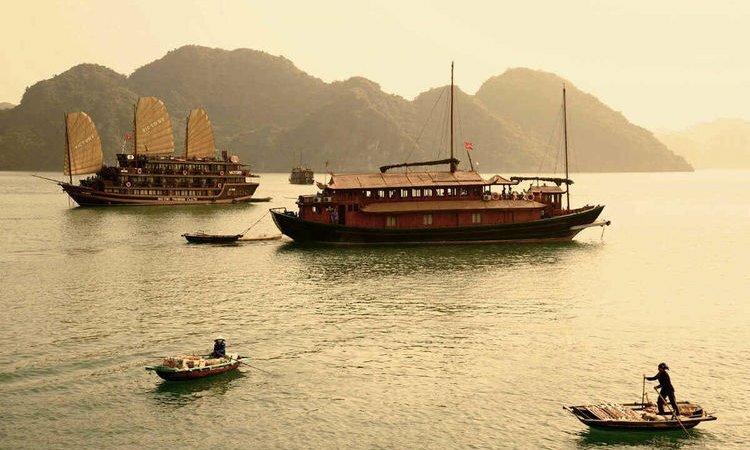 A trip to the Golden Triangle would be incomplete without a cruise up the serene Mekong river. 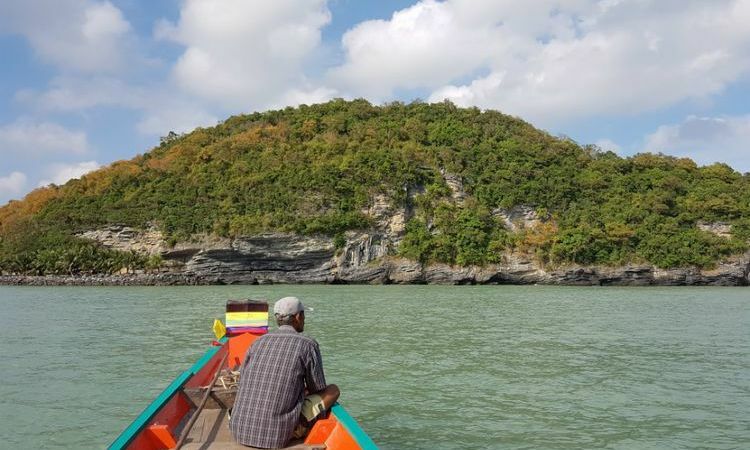 What sounds better than an idyllic, carefree day just chilling on a small boat in summer breeze while indulging in the greenness and tranquility of the sceneries along the river? Must be one in a place that lied at the heart of a previously heated conflict in Southeast Asia. To catch the best shots, sail your cruise when the gorgeous sun starts to sink towards the horizon, coating the river in a beautiful palette of golds, reds, and oranges. 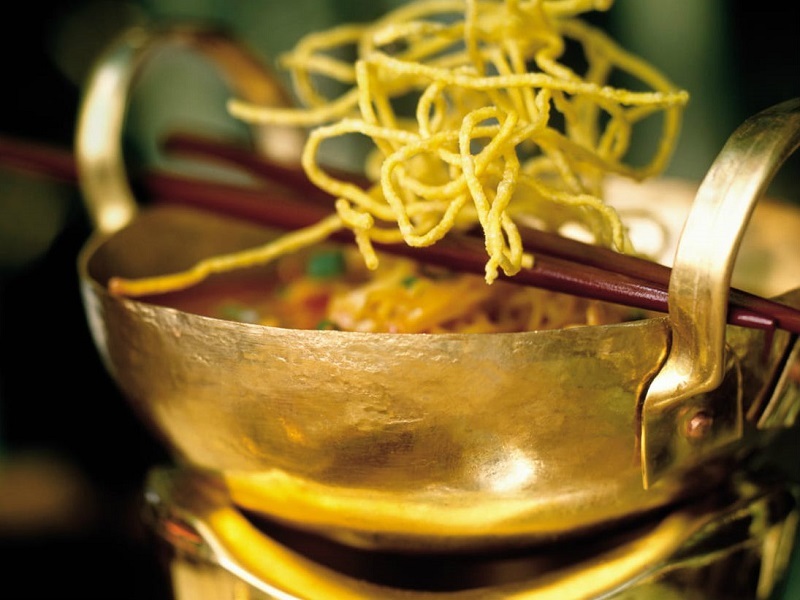 At the crossroads of three Southeast Asian countries, the cuisines of Golden Triangle reflect a diversity, from Burmese, to Laotian to Thai Northern hill tribes’ influences. 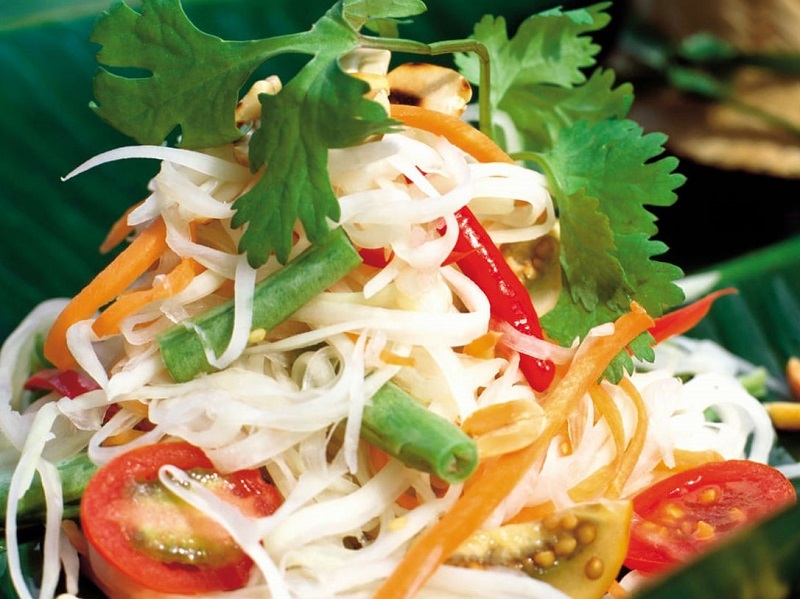 Spoil your appetite with a range of dishes from Yam Jin Gai (Northern style chicken soup), Mok Pa (Laos steam fish), Tam Mak Hoong (Laos papaya salad), Khao Soi Gai (Chiangmai Noodles), Mohinka (Burmese fish rice vermicelli). 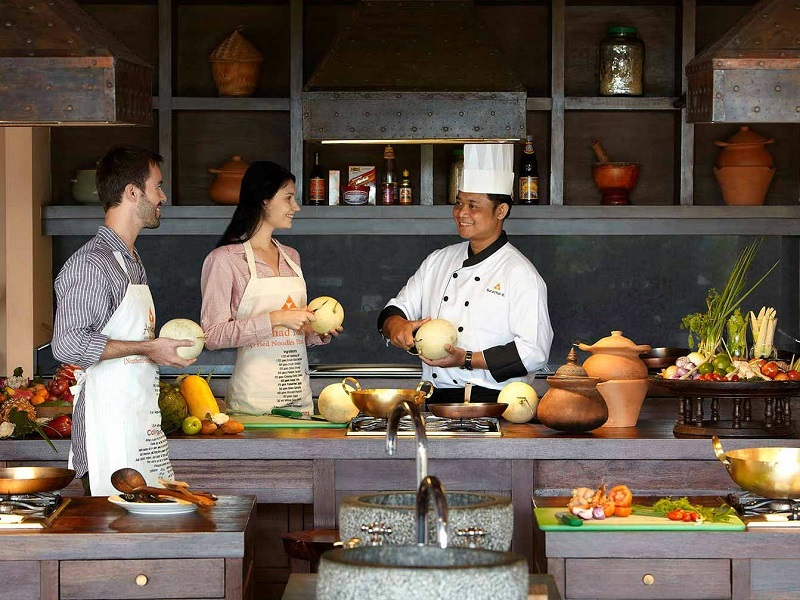 Explore different cultures of the region by joining a fun yet insightful cooking class instructed by professional. There is no better place to rejuvenate your body and soothe your soul than a spa lounge hidden somewhere remote like the Golden Triangle. 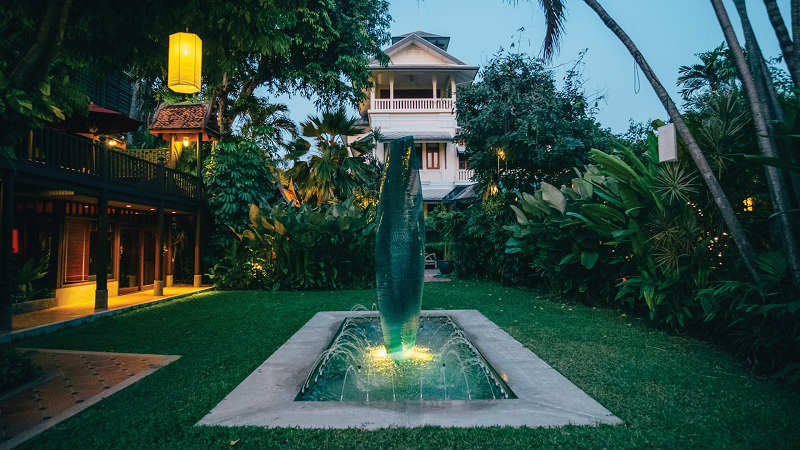 You should not miss a spa session of traditional Thai massage with unique stretching techniques and special therapeutic herbs that pamper your muscles and awaken your mind. 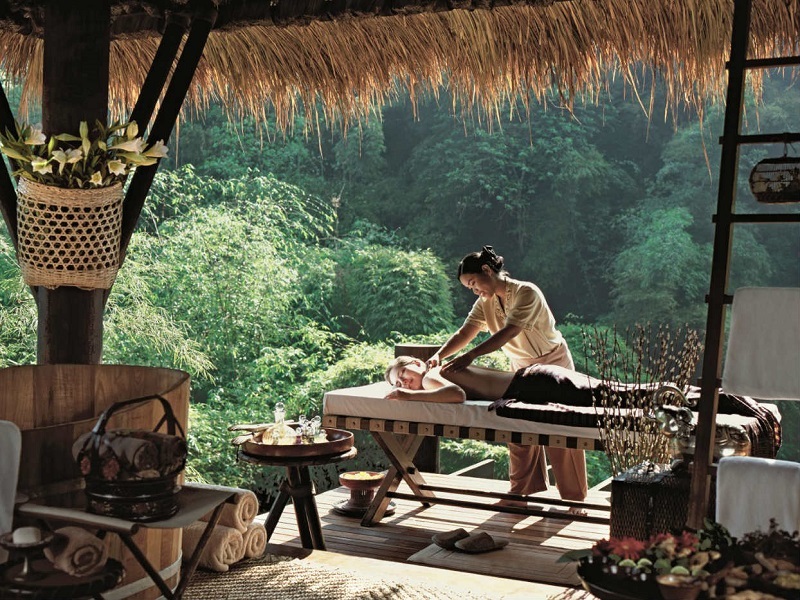 Lanna Spa at Anantara Resorts and Four Seasons Golden Triangle Spa both offer various choices of treatments in well-designed Northern Thai themed suites with rustic wooden furnishing surrounded by peaceful countryside sceneries. Now that you know how cool a place Golden Triangle could be, why not consider it your next destination? With so many exciting activities to do, it is important to have a neat travel plan! 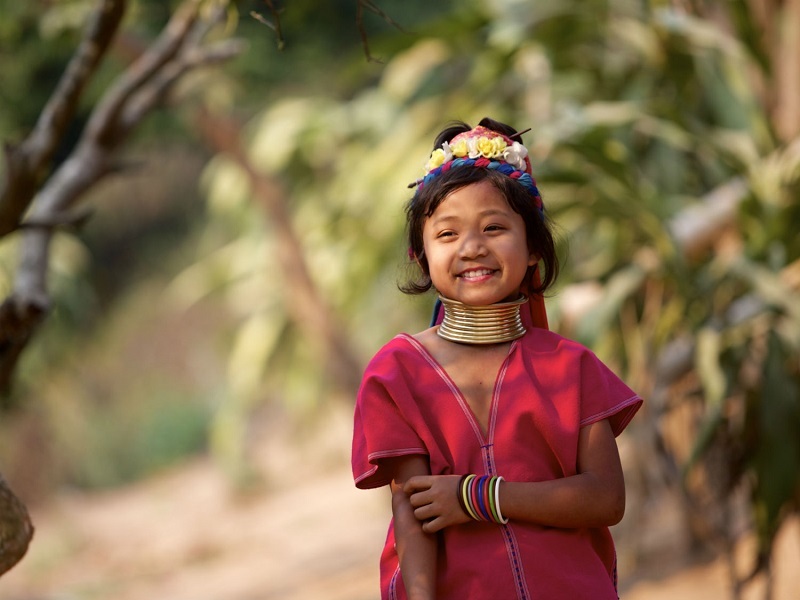 Since you are already here, visit our tours: The Perfect Match: Anantara and Thailand, Glamourous Camping, The Hidden Gem of North Thailand for suggested itineraries and let us bring you the best experiences!